Directions: Just go to the Arc de Triomphe in Paris. It's at the end of the Champs-Élysées. 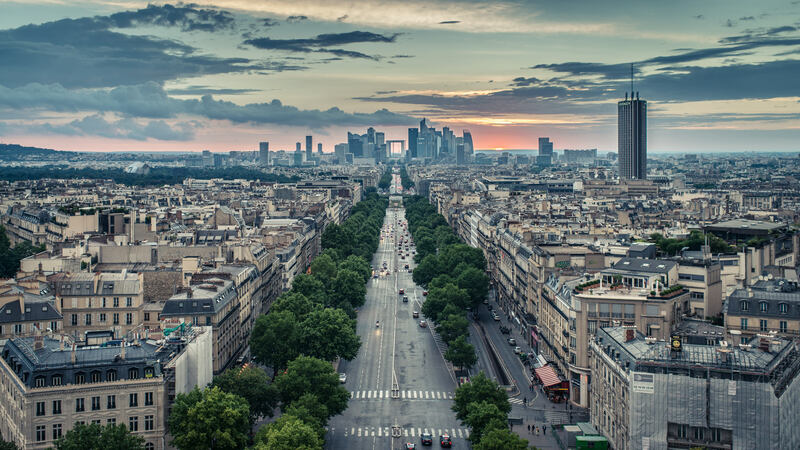 The Arc de Triomphe has sweeping views over all of Paris. Once you get to the top you’ll find that it’s a huge open air visitor platform. There’s no time limit on how long you can stay in, either. There are railing around the edge, but they’re wide and only shoulder height, so you can easily shoot through them.